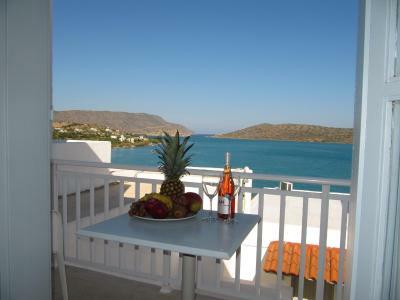 Lock in a great price for Selena Hotel Elounda – rated 8.1 by recent guests! 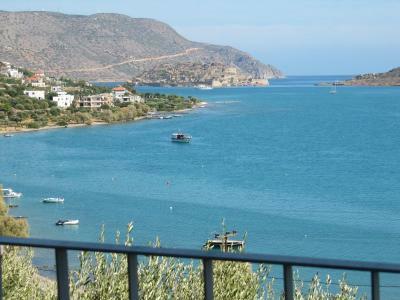 Stunning views from sea view rooms. 2 very good pools and sea across the road. Delightful and helpful staff. The view from our room was breath-taking! 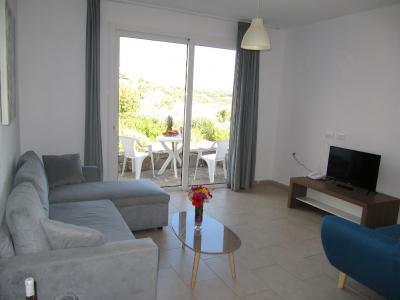 The terrace of the room very large which offered a panoramic view across the sea. The room is clean, large and the bed very comfi. Friendly staff. The breakfast was very rich and tasty able to cover most of testes. The staff were excellent as the customer service was first class. Any requests were dealt with promptly and very useful information was supplied about the local area. 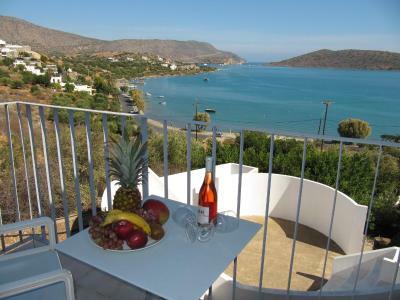 The hotel has fantastic views over to Spinalonga and is ideally situated between Plaka and Elounda. Taxis are reasonably priced and the hotel is near the bus stop. 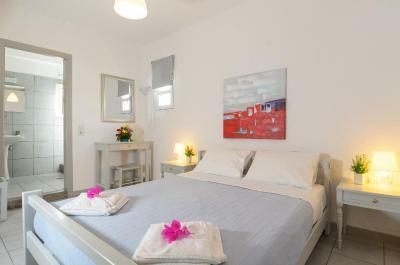 Maria, the receptionist was lovely and tried her best to ensure that we had wonderful stay. She is an excellent ambassador for the Selena Hotel. 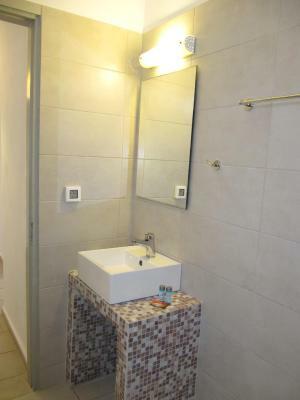 very clean hotel, room 311comfortable with a magnificent view , nice bathroom, breakfast satisfactory nothing essential is missing from buffet, perhaps the opening time could be earlier than 08.00. Location excellent, parking, view fantastic. 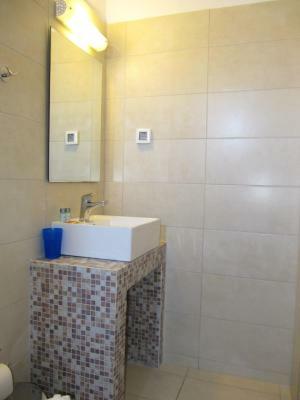 Overall very satisfactory for the price given. The view from our room. The comfy beds. Location. The view. Friendliness of the staff. There are 2 swimming pools to choose from. We had the option of having chairs carried down to the beach in front of the hotel too if we wished. Everything was spotlessly clean. A very charming hotel. The junior suite was a great size with a seperate living area. 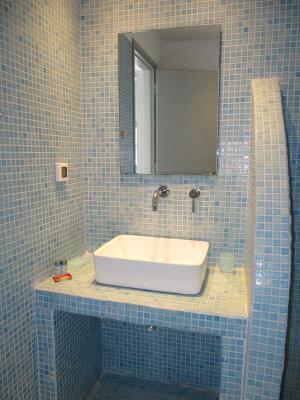 The bathroom was quite new and very clean. Hot water available whenever you had a shower morning or night. Excellent views. Very comfy bed and the linen was white as were the towels. We had a fridge in the room too. On our last day we had a bottle of wine left for us with two glasses which was a lovely touch. We only had breakfast with a good choice. There was bacon and sausage although not English, fried,hard boiled and scrambled eggs toast yogurt fruit and cereal. We had a couple of snacks at the pool bar which were nice. There are two pool which were clean and there were always loungers available whatever time you went to the pool. While I would normally book self catering accommodation I was happy to stay at the Selena where breakfast was included and of which there was plenty of choice (the yogurt was the best ever)! 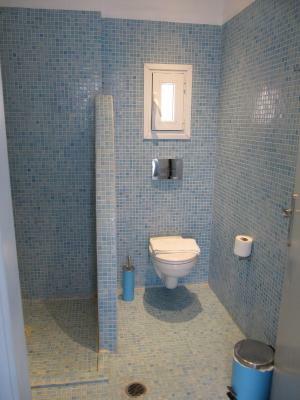 The staff were very helpful, friendly and very attentive (particularly Maria on reception). We were shown our room, facilities etc on arrival and the staff recognised our Ruby wedding anniversary with flowers and good wishes. 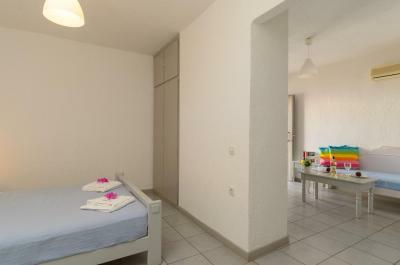 The room and communal areas were clean and tidy and towels and bedding changed regularly in our room. The view from our balcony were gorgeous. The view. You need to drive to the best beaches. Roads are good. Easy and worth it. 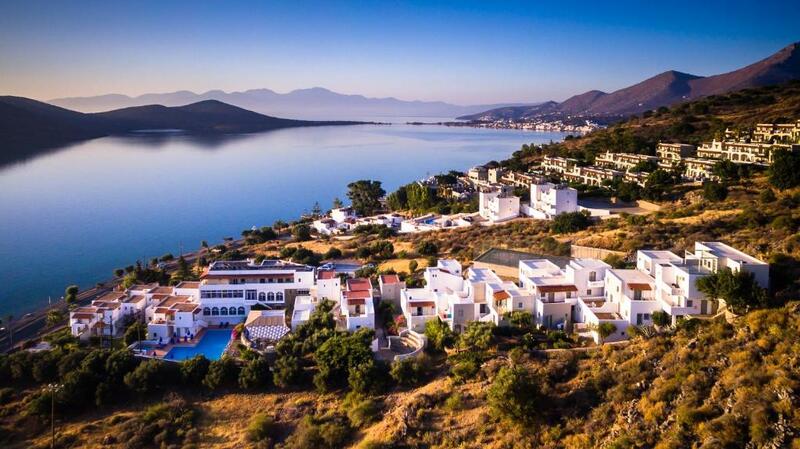 Selena Hotel Elounda This rating is a reflection of how the property compares to the industry standard when it comes to price, facilities and services available. It's based on a self-evaluation by the property. Use this rating to help choose your stay! 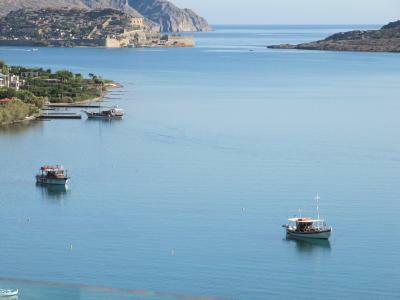 Built amphitheatrically on a smooth hillside of Elounda, beachfront Selena Hotel offers a view of Elounda bay and the island of Spinalonga. 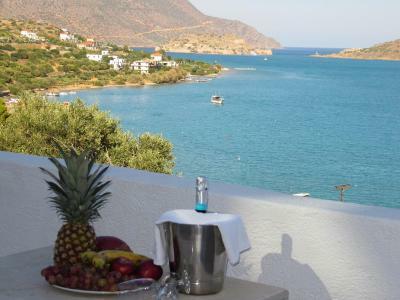 The 3-star hotel features a private beach, 2 outdoor pools, a restaurant bar and a pool bar. 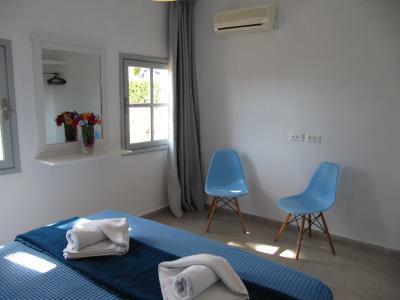 Each with unlimited sea views, the fresh and bright rooms are air conditioned. 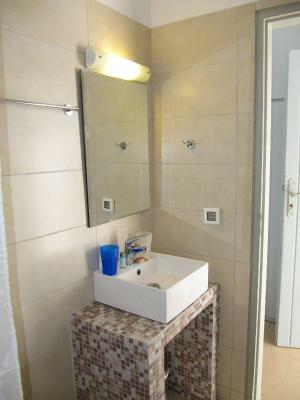 Each includes a fridge, satellite TV and safe. 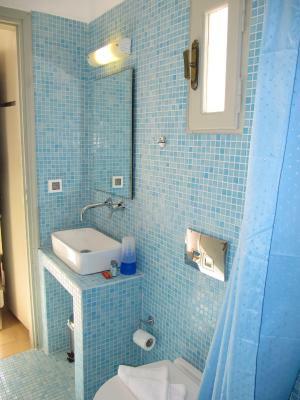 A private bathroom with bath or shower is provided. 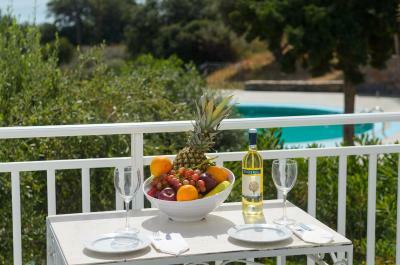 The buffet restaurant and outdoor à la carte restaurant at Selena prepares Cretan and Mediterranean dishes. The poolside snack bar provides light meals and refreshing drinks throughout the day. 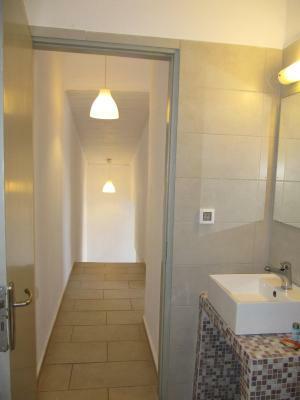 Just refurbished, the bars, restaurants and reception area are modern and bright. 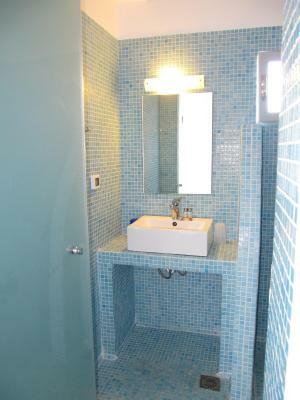 A gym is available on site and 2 lounges featuring a reading corner, a business corner and a satellite TV room. Free Wi-Fi internet is available in all public areas. Free parking is offered within the hotel premises. 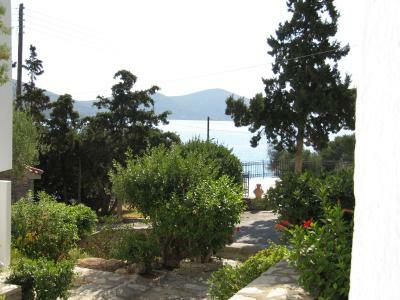 Selena is frequently connected by bus with Elounda and Agios Nikolaos (10 min) with a stop 100 feet from the hotel. 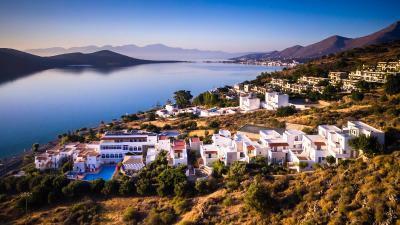 Elounda village is in a very close distance of 1.2 mi and Plaka Village is located in a distance of 1.6 mi. Airport and the port of Heraklion are around 45 mi. 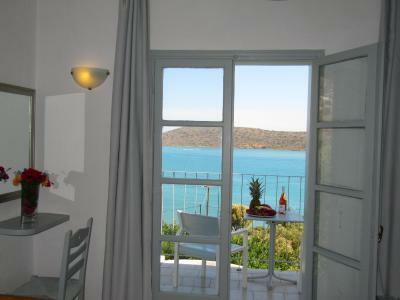 When would you like to stay at Selena Hotel Elounda? 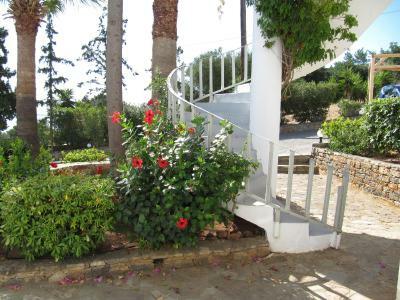 Features a balcony or porch with Cretan Sea views. 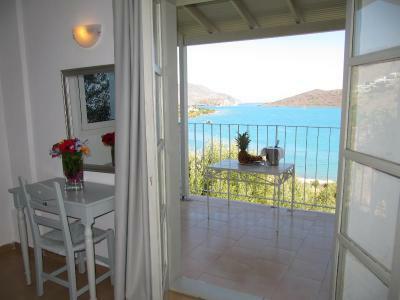 Offers spacious veranda and panoramic views. Includes a 32'' TV. 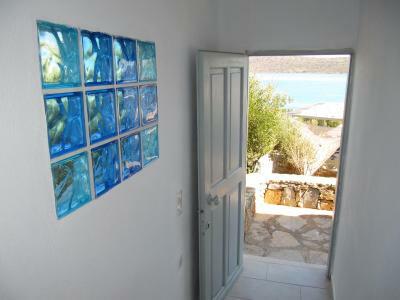 House Rules Selena Hotel Elounda takes special requests – add in the next step! 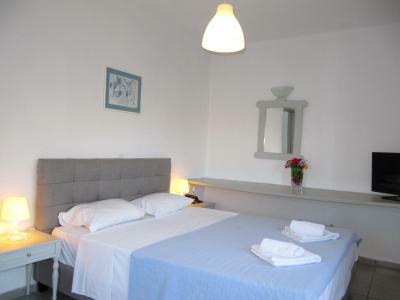 All children from 5 to 14 year are charged EUR 10 per person per night when using existing beds. 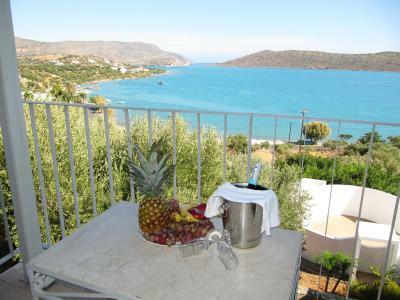 Selena Hotel Elounda accepts these cards and reserves the right to temporarily hold an amount prior to arrival. 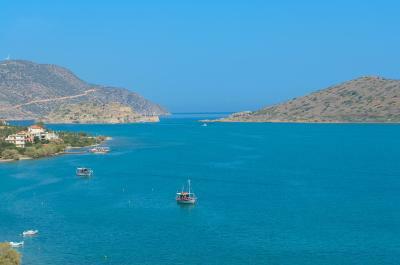 Please inform Selena Hotel Elounda of your expected arrival time in advance. You can use the Special Requests box when booking, or contact the property directly using the contact details in your confirmation. Options for meals are limited. 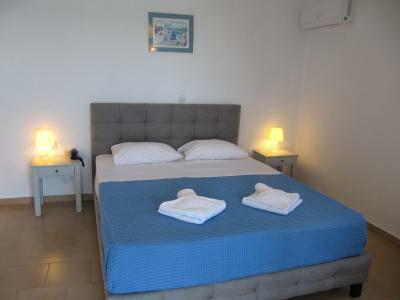 Hotel provides a good buffet Breakfast and an adequate evening buffet meal ( also lunch which we didnt have) and a snack bar with pleasant light meals BUT guests need to be aware that the closest tavernas are about 15mins walk or a drive away. 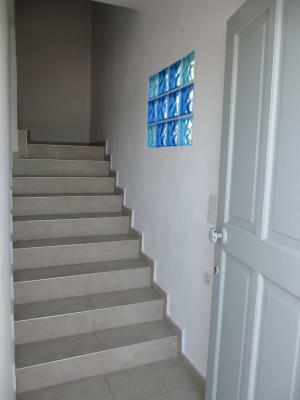 To reach the room there are quite some steps to climb. Wi-fi signal was very weak. The main points of interest such as restaurants and shops are about 20 - 30 minutes walking, although the walk is pleasant as it goes on a pathway along the sea. This hotel is only for the fit as there is a very steep climb up to the rooms! 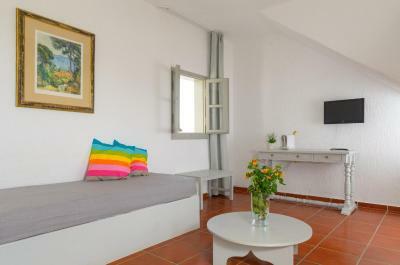 bigger tv set in the room needed and perhaps a small bottle of water upon arrival expected. More variation in breakfast, the cook was unable to make eggs well done, for guest that don't eat raw food, the cook could be more flexible. 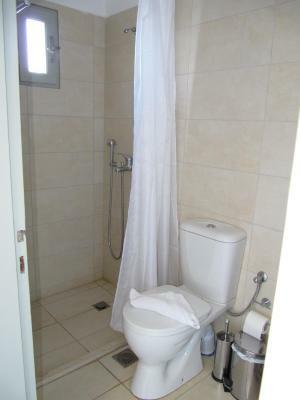 The hotel should consider having an extra shower and changing facilities for guest that have late flights. 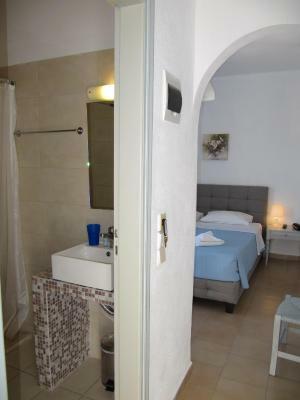 (check out is at 12) We had to use the shower outside near the pool, however we needed to change in the toilet, which is not hygienic at all, very disgusting and it's not a closed area, so people can walk in and out. Could have been more child friendly with less steps or more safety guarding around rooms. Clean, fresh, lovely pool and great views. Breakfast was a little disappointing as there was only tinned fruit as a fruit option and no dried fruit such as dates, figs, etc. but this is only a minor thing. Smelly drains, very limited choice and little variety at breakfast, no fresh fruit at all, poor coffee. Very limited storage relative to the size of the room. Overall the hotel just felt very uncared for. 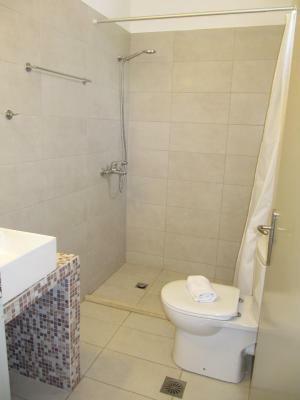 Spacious room, convenient location, great views. Very good fridge. 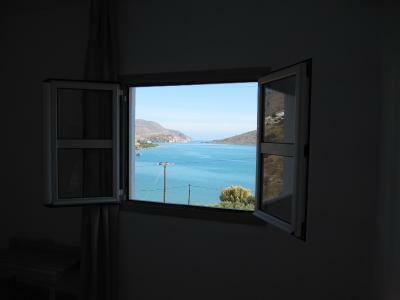 The view from the room was amazing but the hill to the room was steep. If I booked again I would ask for a room at the front but then you may get the noise from the road. The beach in front of the hotel was shingle and just about wide enough to have a sun lounger which you could hire from reception. The junior suite was a good size but not enough drawer space for our clothes. 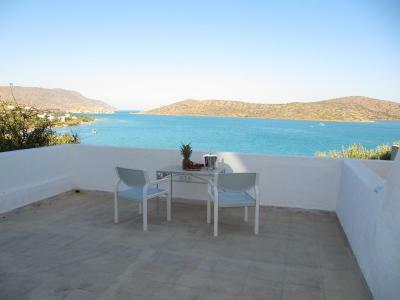 I actually used a suitcase as a drawer.The hotel is 35 mins gentle stroll to the centre of elounda but as a personal preference we would have liked to be nearer to the centre although the walk was lovely along the edge of the sea where we actually saw a turtle close to the edge swimming along. 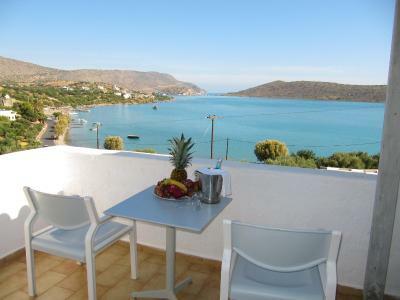 The nearest supermarket restaurant or bar is in Elounda unless you eat at the hotel or those close by. There wasn't anything I particularly disliked at all with the Selena. I think it would be nice to have tea/coffee making facilities in the room but this was quickly resolved by Maria who arranged for a kettle to be provided throughout our stay. There was one incident relating to a group of guests drinking and being rowdy in the adult only pool but this too was quickly resolved when brought to staff's attention resulting in a lovely quiet and relaxing pool atmosphere to enjoy. Buffet breakfast is not that inspiring. Coffee could be stronger.